Our Stewardship Building programs are focused on increasing environmental awareness and providing direct opportunities for residents, businesses, communities, and watershed groups to take action to restore the health of their local lands, streams and rivers. We accomplish this through projects that provide educational and hands-on volunteer opportunities, and support local communities in their environmental stewardship efforts. The Alliance’s Businesses for the Bay membership association is designed by businesses for businesses. Businesses for the Bay encourages businesses within the Chesapeake Bay watershed to take voluntary and measurable actions to support protection and restoration of the Chesapeake Bay and help the public understand the valuable role of the business community in sustaining the health of the Chesapeake Bay and its watershed. The Chesapeake Monitoring Cooperative is a partnership with the goal to provide technical, logistical, and outreach support for the integration of citizen-based and non-traditional water quality and macroinvertebrate monitoring data into the Chesapeake Bay Program (CBP) partnership. Project Clean Stream is one of the largest cleanup events in the Chesapeake Bay region. It signifies the Alliance’s commitment to engaging local communities, and provides volunteers with a hands-on opportunity to make up-close and personal connections to the watershed. The Alliance’s Citizen Water Quality Monitoring Program is a regional network of 50 trained volunteers who perform weekly water quality tests that help track the condition of waters flowing toward the Chesapeake Bay. 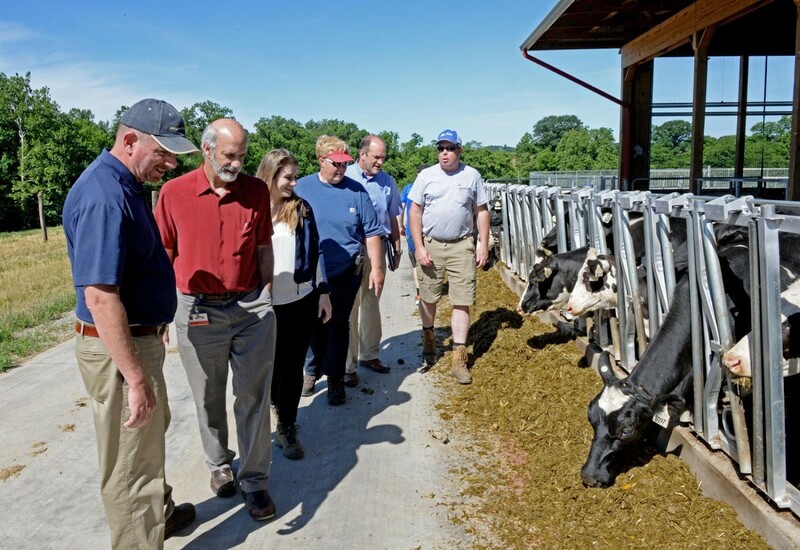 The Turkey Hill Clean Water Partnership sparked from ideas discussed at a Businesses for the Bay Forum in 2016, and is a collaborative effort coordinated by the Alliance, in partnership with Turkey Hill, and Maryland and Virginia Milk Producers Cooperative Association (MDVA). This project provides financial assistance to plain sect farmers to install necessary conservation practices on their farms in effort to improve polluted ground and surface water that feed the Octoraro Reservoir. Currently, the Alliance is working hard to build relationships with plain sect farmers in the watershed.